Will You Be At The 2016 Evening of Science & Celebration? November is here and do you know what that means?? “An Evening of Science and Celebration” is coming on Thursday, November 17th! You don’t want to miss this. For starters, it’s become a tradition for our Horse Heroes to showcase their equine skills on the treadmill – it’s a demonstration that will amaze you! Not only that, but the horses will be available for autographs after they “WOW” you with their performance. My friend Dr. Kristine Urschel from the University of Kentucky will give the keynote address about how protein is important for muscles and exercise. How does what you eat affect how well you can train? Come find out! Not only that, but Dr. Carey Williams will talk about what’s real and what’s not when it comes to facts about equine diets. You thought humans had some crazy fads…Dr. Williams will break it all down. 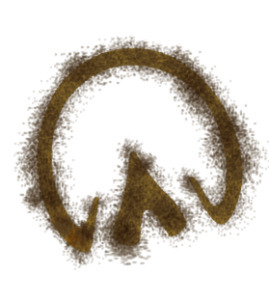 Did you know that in the horse’s hindgut, there is a living ecosystem of microbiota that helps in digestion, immune function, and the maintenance of overall health? Dr. McKeever will explain more about it, along with ways that exercise affects this world inside your horse. You won’t want to miss the presentations of the “Spirit of the Horse” and Gold Medal Farm awards (wait until you see who gets them!) and Dr. Malinowski’s summary of all of the amazing research happening at the Center this year. You’ll wonder how anyone around here gets any sleep – including us horses!! Most importantly, we’ll also be showcasing the awesome New Jersey 4-H’ers from the 4-H Roundup Teams. Maddie Whiting will present, “What’s for Dinner”? – a talk about the odd things horses like me eat! My favorite is hotdogs with mustard and relish! These young adults are the future leaders in the equine industry, so come see what they can do! 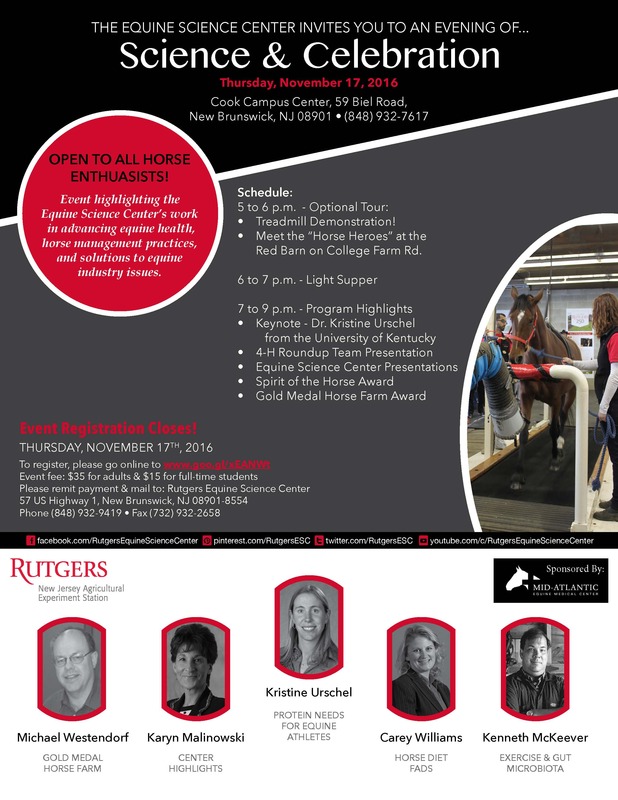 On behalf of all my friends (human and hoofed) at the Equine Science Center, we can’t wait to see you on November 17th! Don’t miss it, register HERE. Do You Know Your Forage Alternatives? Horsey Kisses Underneath The Mistletoe? Whoa There….Not So Fast!